Italy has seduced generations with its sunshine, landscapes, art treasures and the warmth and vitality of its people, devoted to style, sensuality and the pleasures of life. The reality is less rosy. Italy is as exasperating as it is enchanting. Appalling public services, a rotten political class, the creeping tentacles of the Mafia, the all-forgiving Mother Church and infinitely indulgent ‘mamma’ have long prevented Italians facing up to their collective failings. 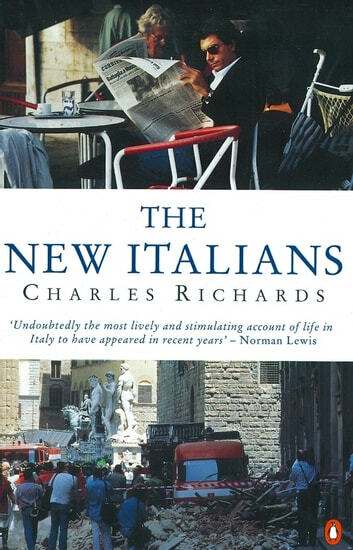 In ‘The New Italians’, journalist Charles Richards paints a compelling group portrait of the country and people, spanning football to Freemansonry, kickbacks to kidnappings. He concludes that however much things change, the Italians will remain essentially the same, and pull through with their customary ‘brio’.